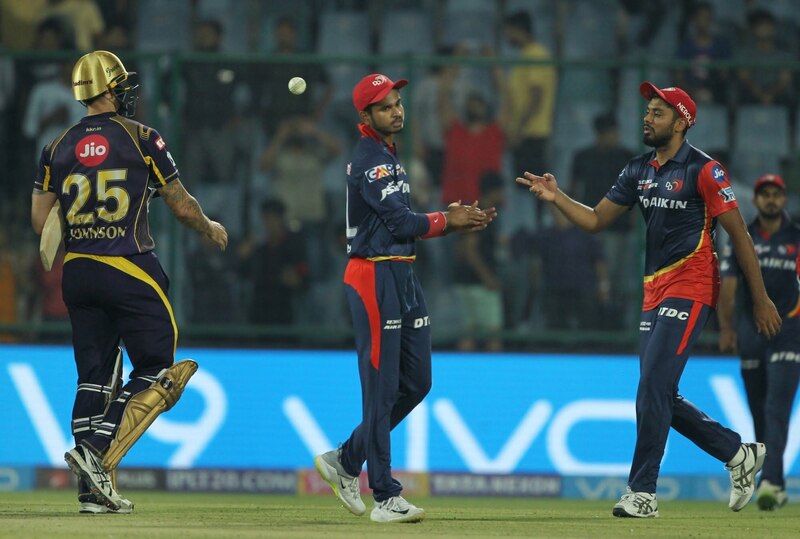 Inspired by half-centuries from new skipper Shreyas Iyer and Prithvi Shaw, Delhi Daredevils finally ended their three-match losing streak with a 55-run thumping win over Kolkata Knight Riders (KKR) in an Indian Premier League (IPL) clash at the Ferozshah Kotla here on Friday. With Friday’s win, Delhi’s stay at the bottom of the points table ended as they climbed to the 7th spot while KKR remained static at No.4 despite their fourth loss in seven matches. Playing his first match after replacing the off-colour Gautam Gambhir as captain, Iyer blasted a 40-ball unbeaten 93, laced with three fours and 10 sixes, to propel the hosts to this IPL season’s highest total of 219/4. Iyer’s power-packed innings, however, came after teenaged sensation Prithvi and Colin Munro got Delhi off to a breezy start with a 59-run opening stand. In reply, KKR were off to a forgettable start, losing four wickets for just 46 runs in the powerplay. Australian Glenn Maxwell drew first blood for the hosts with the wicket of opener Chris Lynn (5) in the second over of the innings before New Zealander Trent Boult jolted the visitors with the wickets of Robin Uthappa (1) and Sunil Narine (26) in the very next over. Rookie pacer Avesh Khan joined the party by packing Nitish Rana (8) as the tourists started looking down the barrel. Skipper Dinesh Karthik (18) and young Shubman Gill (37 off 29 balls; 4×3, 6×1) then joined forces to resurrect the innings but leg-spinner Amit Mishra’s googly ended the brief 31-run fifth wicket stand with the scalp of the Kolkata stumper. 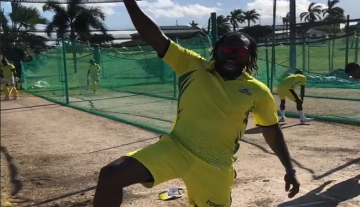 Despite the departure of their in-form skipper, Kolkata’s hopes rose briefly when West Indian power-hitter Andre Russell joined Gill to forge a quickfire 64-run sixth wicket stand. But the joy was short-lived as a mix-up in the middle ended Gill’s vigil, thanks to Iyer’s throw even as next man Shivam Mavi (0) was back in the dug-out soon after. Coming back for his final over, Avesh broke through the defences of Russell even as the asking rate rose like a mountain for tailenders — Piyush Chawla (2), Mitchell Johnson (12 not out) and Kuldeep Yadav (7 not out) as KKR’s innings eventually ended on 164/9. For Delhi, Boult, Maxwell, Avesh and Mishra bagged two wickets apiece. Earlier, Iyer continued with his brilliant form, firing four sixes and a boundary to milk 29 runs from the final over, and propel Delhi to a mammoth score after being put in to bat. While Iyer stole the limelight with his belligerence in the later part of the innings, it was Shaw’s 44-ball 62, laced with seven boundaries and a couple of sixes and Munro’s 18-ball 33, that set the tone with a 59-run opening start. Shaw belted a 38-ball half century to become the joint youngest to score an IPL half-century with Sanju Samson. The 18-year-old was beaming with confidence as he mercilessly pummelled the visiting bowlers and did not spare even veteran Australian pacer, Mitchell Johnson, clobbering him for a massive six over mid-wicket. After getting to his half-century, Shaw took the famed KKR spinners to the cleaners before leg-spinner Chawla got the better of him to end the 68-run second wicket stand with Iyer. Iyer continued his dominance over the bowlers, racing to his half-century off 29 balls, even as new man Rishabh Pant (0) failed to trouble the scorers.Pant’s dismissal brought in Australian power-hitter Glenn Maxwell (27 off 18; 4×1, 6×2) , who forged a 73-run fourth wicket stand with Iyer as Delhi looked set for a huge total. 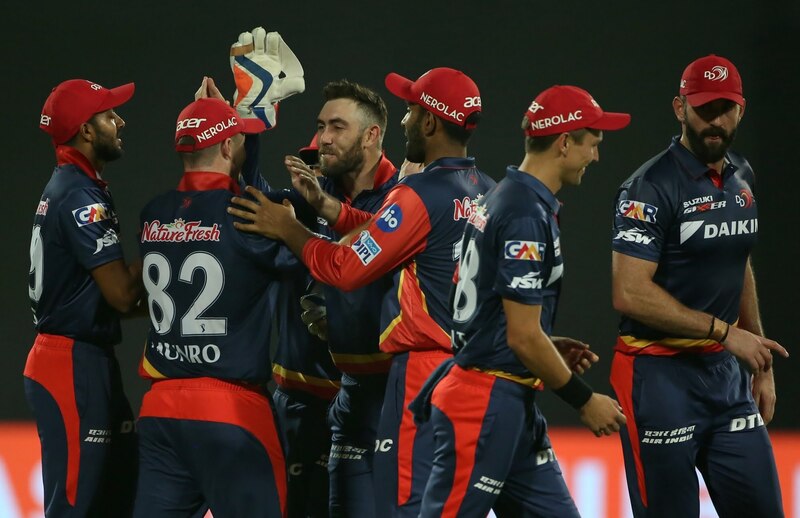 Brief Scores: Delhi Daredevils 219/4 (Shreyas Iyer 93 not out, Prithvi Shaw 62, Colin Munro 33; Andre Russell 1/28) beat Kolkata Knight Riders 164/9 (Andre Russell 44, Shubman Gill 37, Glenn Maxwell 2/22, Amit Mishra 2/23) by 55 runs.